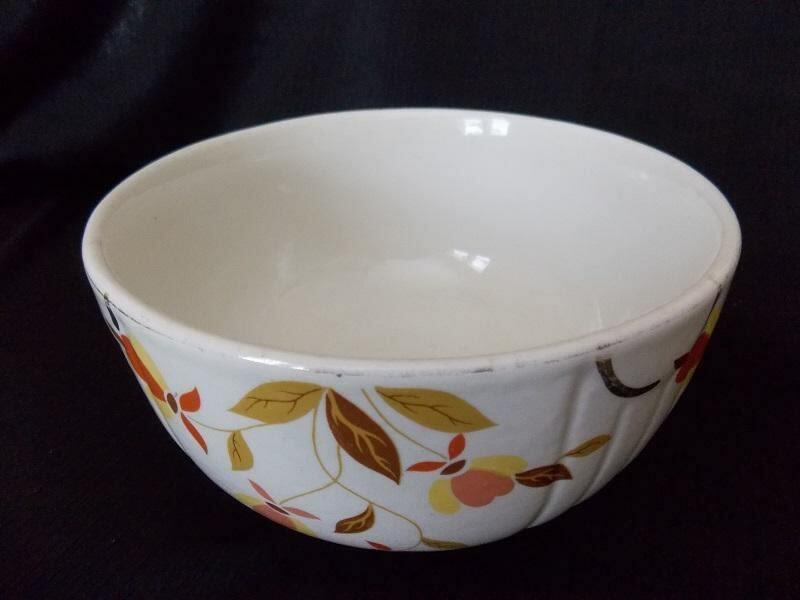 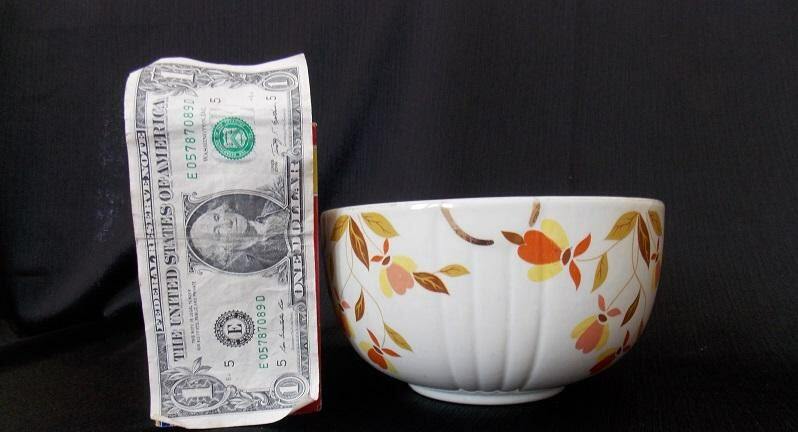 This wonderful vintage serving bowl is an overall cream/white color. 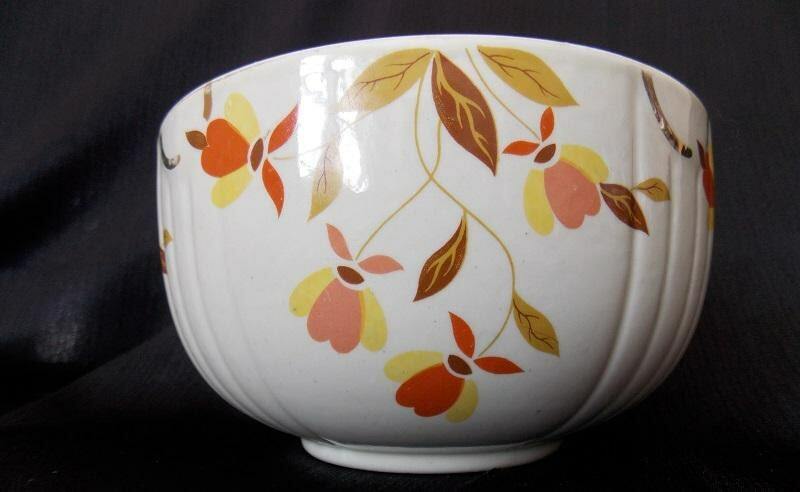 It is in the Autumn Leaf Radiance pattern which features red/orange, green, and yellow/gold leaves and flower design. 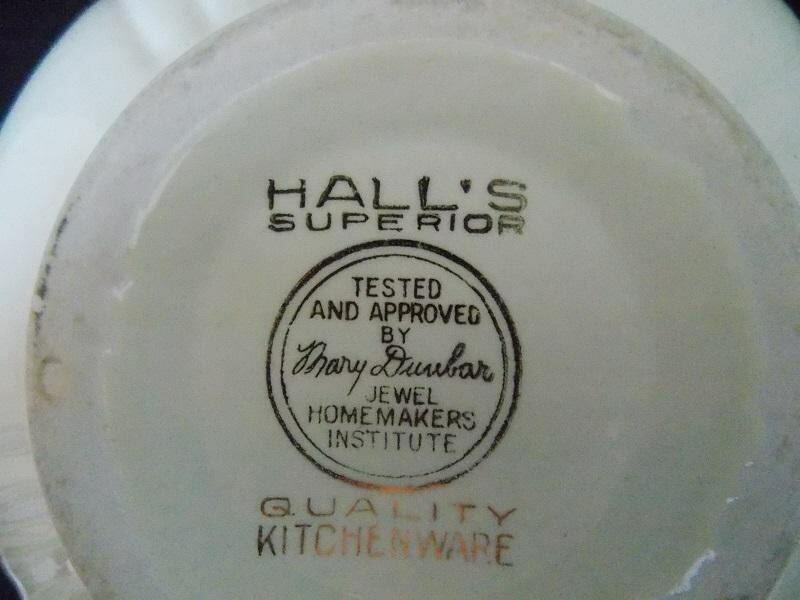 This heavy bowl was made between 1933-1976 and is marked "Hall's Superior / Tested and approved by Mary Dunbar Jewel Homemakers' Institute" on the bottom. 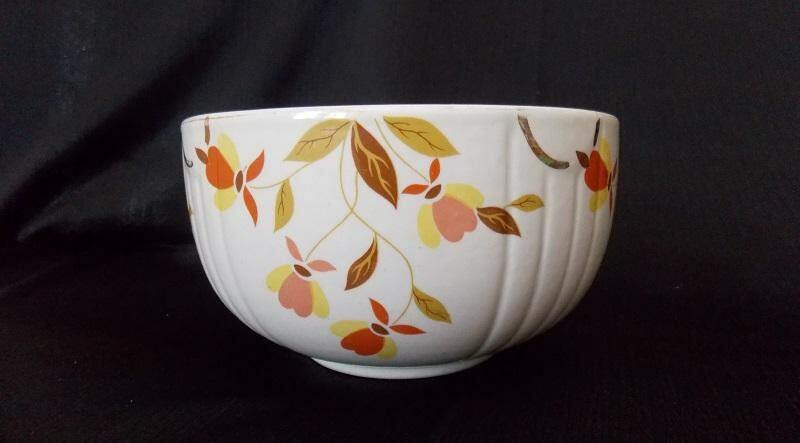 Great bowl for preparing or mixing your favorite recipe!